Spectrum’s brands clearly performed as well, or better, than competitor’s number one brands, Lumley said, but the momentum or strategy didn’t exist to unseat them. Lumley turned away from mass advertising, adopting a “same performance, lower price” model, but even more important, he said, was the change he needed to make in his executive team’s mindset about employee compensation. • Organizations should be based on company strategy, competitive set and selling environment; companies need to define success (and rewards) around sales and manufacturing, which support profit. • Numerous layers of management usually equal poor performance and employee frustration; shared services and functional job descriptions are favored wherever possible. • Structure is important; all employees should understand who is responsible. It shouldn’t be a mystery. Organizational structure must also support the growth strategy. “You’re company is either centralized, decentralized or matrix organized,” Lumley explained. He moved Spectrum from a centralized to a decentralized organization to give better support to each brand, though he also organized brands in a way to take advantage of shared, synchronistic support services. His own career has mirrored his insistence that Spectrum become more nimble. He studied to become a journalist in college, “but then I found out what that paid versus a job in advertising,” he quipped, and so he joined the New York PR firm Burson-Marsteller. “Then I found out what executives made,” he joked, and his next job was president of Brunswick Bicycles (1997-99), CEO of EAS (1999-2003), and then president of the Rubbermaid Home Products North America (a division of Newell Rubbermaid) from 2004-06. 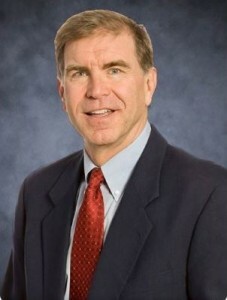 He joined Spectrum in 2006, where he rose up the ranks of executive positions before taking over as CEO in April 2010. It’s worth noting that Lumley took Wilson Sporting Goods from a decentralized organization to a centralized one with one compensation goal; meanwhile, he changed Brunswick from centralized to decentralized, and changed Rubbermaid from a matrix setup to a decentralized business. “The setup isn’t a one-size-fits-all solution,” he acknowledged. “You have to organize around your sales strategies.” However, the unifying action at every company he has led was defining a comprehensive and simple, achievable compensation program.